Elder José L. Alonso was sustained as a General Authority Seventy of The Church of Jesus Christ of Latter-day Saints on April 2, 2011. At the time of his call, he had been serving as a member of the Fourth Quorum of the Seventy in the México Area. He recently served as a member of the Central America Area Presidency and is currently serving as a member of the Caribbean Area Presidency. Elder Alonso received a medical degree as a homeopathic physician and surgeon in 1986. Then in 1991, after attending the National Institute of Pediatrics, he received a degree in pediatric development. He has worked with the Red Cross Emergency Unit, the San Francisco Medical Clinic, and the Church Educational System as an area director. 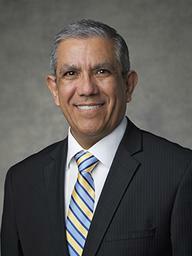 Since joining the Church in 1974, Elder Alonso has served in a number of Church callings, including full-time missionary in the México Hermosillo Mission, counselor in a bishopric, bishop, stake mission president, stake president, counselor in a mission presidency, and president of the México Tijuana Mission (2002–2005), and Area Seventy. José Luis Alonso was born in Mexico City, Mexico, on November 17, 1958. He married Rebecca Salazar in February 1981. They are the parents of two children.